Using social media during times of national tragedies can be tricky. In the age of lightening fast tweets and off the cuff Facebook posts, it's all too easy to find your foot in your mouth. Florida prosecutor Kenneth Lewis was suspended for a controversial Facebook rant about the Orlando shooting Friday. The assistant state attorney took to Facebook just hours after news broke that a gunman had shot and killed 49 people at Pulse nightclub on Sunday with a rant about the state of downtown Orlando that many are saying was offensive. He has been suspended on suspicion of violating the social media policy of the State Attorney's Office. Downtown Orlando has no bottom. The entire city should be leveled. It is void of a single redeeming quality. It is a melting pot of 3rd world miscreants and ghetto thugs. It is void of culture. If you live down there you do it at your own risk and at your own peril. If you go down there after dark there is seriously something wrong with you. Disney does everything in its power to shield visitors of Disney from its northern blight. That doesn't change reality. Disney may be the happiest place on earth but Orlando is a national embarassment [sic]. If this is an act of domestic terrorist [sic] it is so important that we don't publish the religion, name, or motive of the terrorist as not to offend anyone. 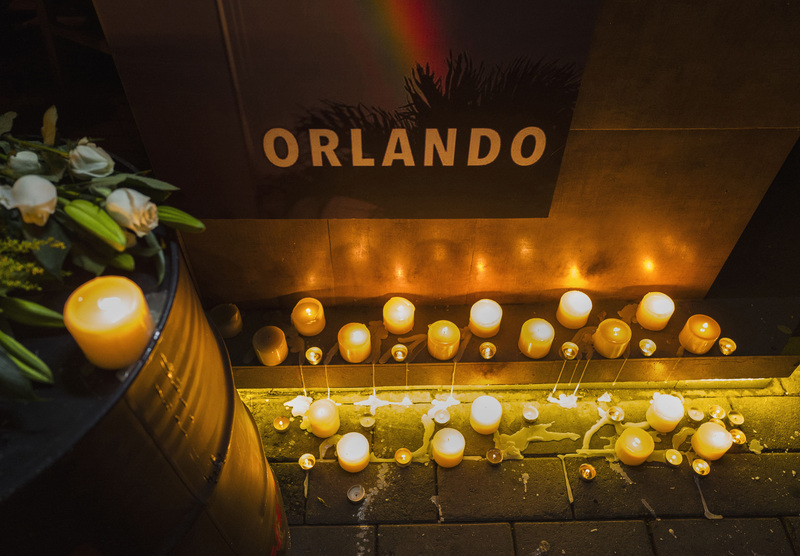 According to information sent to Bustle by a spokeswoman for Lewis' employer, Florida's Ninth Judicial Circuit, Lewis took to Facebook again a few hours later with a second post in which he said, "all Orlando nightclubs should be permanently closed. With or without random gunmen they are zoos, utter cesspools of debauchery." A spokeswoman for the Ninth Judicial Circuit, told Bustle "Lewis violated the SAO9 social media policy" and had been suspended "pending further review." The office adopted the social media policy in early 2015, according to a statement provided to Bustle via email by Angela Starke, the Ninth Judicial Circuit's public information officer. A policy that may have been inspired by Lewis. In May 2014, Lewis was criticized for wishing a "happy Mother's Day to all the crack hoes out there" before encouraging them to "tie your tubes" via Facebook. A few days prior to that Lewis went on a rant against affirmative action in a post that included a picture of Supreme Court Justice Sonia Sotomayor. "Reason enough why no country should ever engage in the practice of Affirmative Action again," Lewis admitted to (and apologized for) writing. "This could be the result. Where would she be if she didn't hit the quota lottery? Here's a hint: 'Would you like to supersize that sir?'" At the time, Lewis told NBC he'd thought his comments were visible only to people he was friends with on Facebook and did not feel the posts impeded his ability to be impartial in the courtroom. It was unclear whether Lewis was suspended with or without pay and Bustle was also unable to reach Lewis for comment.